A 4-minute read. 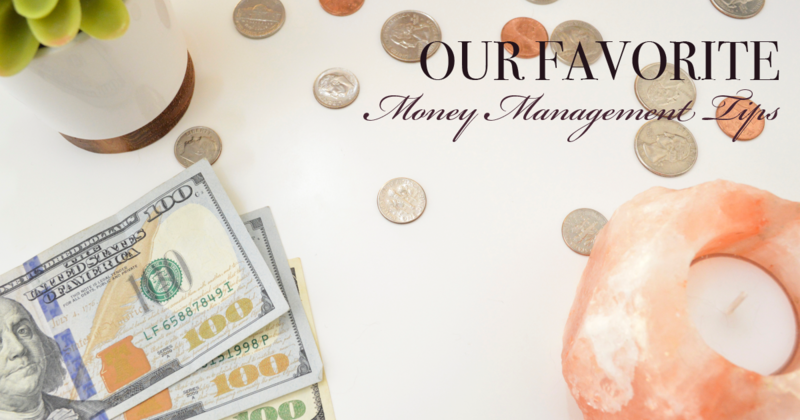 Today’s posts will cover a few basic money management tips that will allow you to manage your money well in order to care for others and yourself. Finding ways to get involved in the community. However, as with most of life, oftentimes all of these require money. Whether you have a lot or a little, managing your money is vital. It helps with being able to do the things you want to do, caring for others, and planning well for your future. Additionally, most of us live on a fixed income, so if we want to do something extra, that money has to come from somewhere (and it’s definitely not trees)! In order to help you be able to live out some of the tips and advice we’ve given, we’ve decided to share some of our most basic and practical tips for managing your money. We’d also love to hear creative ways you’ve managed your money to create less stress in your life and free up some to bless others. Most people have a general idea of what their main monthly bills are each week. However, do you ever get to the end of your week or pay period and think “Where did my money go?” For a lot of us, $5 here or $10 here means that at the end of the week we look up and think “I didn’t spend that much money!” but it’s somehow still gone. Late and penalty fees for missed payments, overdraws, etc. The best way to start getting a handle on your finances is to track your spending. In addition to monthly bills, keep track of each of those $5 and $10 purchases. Then you’ll begin to see your daily, weekly and monthly spending patterns. Do this for a month, and you’ll be at a great starting place to begin making some changes. Once you’ve taken a look at where your money typically goes in a month, now’s the time to TELL your money where YOU want it to go, keeping your care and financial planning goals in mind as you do. For instance, if you are wanting to take part in our pre-funded funeral planning, start by setting up a meeting with one of our pre-need specialists to get an idea of the costs you’re looking at. (Appointment info at the end of this post). Then, in your budget, figure out how much you’d like to devote per month to pay for the plan you chose. Some people might be tempted to go into a full-denial mode, denying themselves any kind of fun outings, treats, or splurges. We’ve found that setting realistic goals that still allow for pleasurable purchases usually means longer-term success. So, even if you want to have more money to donate to those in need or do some pre-funded funeral planning, don’t forget to include a line item for that social club you’re interested in that does dinners out, allowances for a coffee run, and the occasional fast food meal when the day has just been too much. Even with the best-built budget, bad things still happen. Cars get flat tires, homes need repairs, sickness creeps in. This is where an emergency fund comes in handy. The best emergency fund contains enough money to cover 3-6 months of your basic bills and living expenses. Now, should something happen to your regular, monthly (or fixed) income, you won’t immediately panic. Additionally, even if your income stays the same but one month is full of small disasters, you can avoid going into debt by using that emergency fund. Start with setting aside some money each month until you build up to the balance you need. Then, any time you have to use some emergency money, make sure you replenish it before you spend money on other non-essentials. One way to free up some of your monthly income is to knock out debt payments. Even though most institutions have minimum payments that still keep you in good standing, usually paying just the minimum each month means you’re paying more in interest over time. A better way to pay off debts is to get them gone for good. Make a plan to put extra money toward one debt until it’s fully paid off. Then, take the money you were paying in minimums for Debt #1 and roll those into paying off Debt #2. This might mean a few months of a smaller fun-money budget or some creative thinking to have fun for free. But, in the long run, you’ll be glad to have that income from debt payments back to spend as you please. If you’d like to talk to us about our pre-funded funeral plans just make an appointment with us by sending an email to laura@memorialdesigners.net, calling, or coming by. We’d love to help give you some peace of mind concerning getting your funeral expenses planned, paid for, and out of the way.